Chipotle's stock is up nearly 30% in 2013. 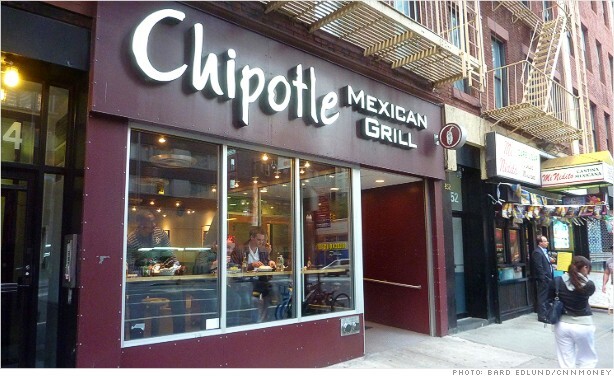 Through mid-2012, Chipotle had been one of the best-performing U.S. stocks. In October 2012, Einhorn made a case for betting against Chipotle's stock. Investors initially fled the stock, but have since returned. It's up nearly 30% this year. It's hard to fight restaurant stocks in general. Consumers have been gobbling them up, particularly those of chains considered fresh and healthy. There is a new restaurant on the 52-week high list every day. $CMG is the latest. The chain Noodles & Co. (NDLS) went public last week. Its stock doubled on its first day of trading and is now trading at nearly triple its IPO price. Calling Noodles the next Chipotle was a compliment to the chain on its IPO date (Chipotle's stock has risen 16-fold since its IPO seven years ago). This week, Noodles looks like it is giving Chipotle a boost. Investors see Noodle's stock rising and have decided Chipotle has even more room to run. $CMG doing well for a second day-- perhaps bcuz of all the $NDLS hype.